I think I'm kind of addicted to Rebecca's adorable designs! 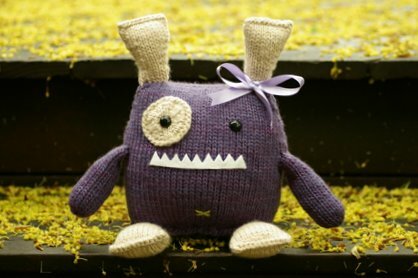 Penelope is one of her newest patterns released, and this little monster is just too adorable to pass up. I really like that there is no gauge requirement for her patterns; you can basically use whatever works for you with what you have on hand. 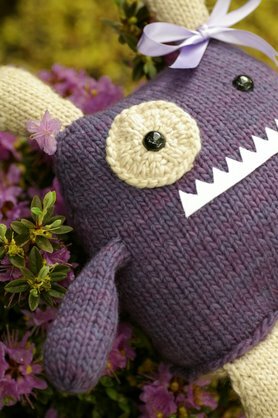 I changed things up a bit from when I knit my Maddox and held the yarn double throughout to create a larger sized creature. She turned out so cuddly and is perfectly sized to sit on a child's bed. There is a bit more finishing required for this pattern than was needed for Maddox, and I found it difficult to make the bottom seam look nice and neat. 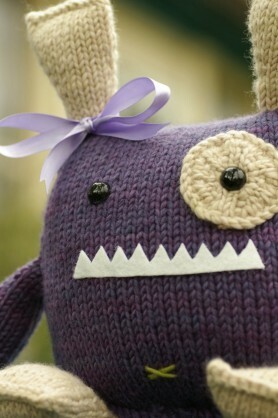 However the pattern instructions were very simple and the finished product is adorable. You need to make sure to stuff the body really full and firmly so it will keep its shape. This seemsespecially important if you held the yarn double. Once again I used Malabrigo--a shock I know! It has become my go-to yarn for pretty much everything. Even what I thought was going to be a ho-hum color combination, turned into the perfect mix because of the depth of the Malabrigo colors. I think that it is safe to say that I'm totally addicted to this yarn! I made Penelope as a going away gift for a friend who is moving to Baltimore. I hope that this little monster makes her smile and keeps her company during her new adventure. She loved it and even named her Penelope without even knowing the name of the pattern! I guess it is a real testament to how fitting the name is for this cute monster. All of Rebecca's designs are so cute and quirky that I think they make good gifts for both children and the young at heart. :) If you haven't seen her newest design, Wasabi the Gregarious Pug definitely check it out! 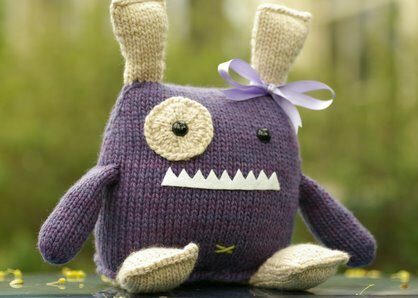 Hopefully someday I'll get around to knitting every one of these cute little guys.